In his talk Robert will discuss Ray, a distributed system to address demanding systems requirements in AI apps. Since the next generation of AI applications will continuously interact with the environment and learn from these interactions. These applications impose new and demanding systems requirements, both in terms of performance and flexibility. Robert will walk us through a distributed system to address them: Ray and how it implements a unified interface that can express both task-parallel and actor-based computations, supported by a single dynamic execution engine. To meet the performance requirements, Ray employs a distributed scheduler and a distributed and fault-tolerant store to manage the system's control state. In his talk he will demonstrate scaling beyond 1.8 million tasks per second and better performance than existing specialized systems for several challenging reinforcement learning applications. 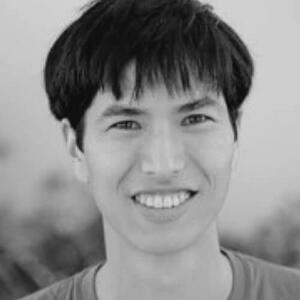 Robert Nishihara is a PhD student in the UC Berkeley RISELab and the Berkeley AI Research Lab working with Michael Jordan. His research focuses on building distributed systems to enable the next generation of artificial intelligence applications including applications in reinforcement learning and online learning. He is building Ray (https://github.com/ray-project/ray), an open-source platform for general-purpose parallel and distributed computing. His past research focused on machine learning theory and algorithms for optimization.